What Does It Mean When a Wine is “Full-Body”? 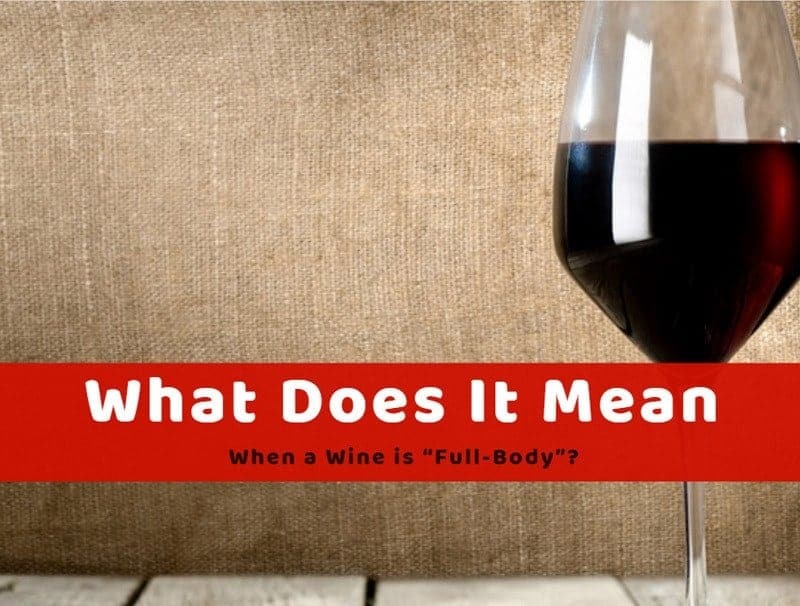 >> What Does It Mean When a Wine is “Full-Body”? As somebody who regularly enjoys small get-togethers with friends or family, I always make it a point to make sure that if this get-together is going to take place at my house, that I have a wide variety of beverages on hand to satisfy everyone who shows up. Many of my male friends, much like myself regularly enjoy a nice glass of wine or two. This often leads to discussions on what types of drink each one of us likes and why we like them. The conversation almost always begins with someone stating that they like a light, refreshing wine, to which someone else will state that they enjoy a richer, more full-bodied beverage. What Is The Body Of The Wine? There are generally three categories of wine body: light body, medium body and full body. Before we really delve into this notion of a wine having a full-body, it would be helpful to understand what ‘full-body’ attempts to describe. What is the body of a wine? Perhaps in the simplest of terms, body can mean the weight or heaviness of the wine. When you take a sip of the wine, what comes to mind first? Is it light and watery in how it hits your palate? Or does it resemble a cough syrup, being thick and syrupy? For this descriptor, the weight or heaviness, we could say that wine that is light and watery is definitely not considered to be a full-body wine, while one that has a thicker mouth-feel would be considered a full-body wine. The main factor that contributes to a wine’s body is that of the wine’s alcoholic content. Generally speaking, if you have a wine with a high alcohol content, it will almost definitely be considered more of a full-body than a wine with a lower alcoholic content. This is due to the fact that glycerol, one of the alcohol compounds, is produced as a by-product of the fermentation process. While it is colorless and odorless, it is weightier than water, so this will give a wine a slight thickness. It can be said that wines that have 12.5% alcohol or less are lighter bodied than those wines that come in at 14% or higher. Wines that fall in between, at 12.5% to 13.5% are considered to be medium bodied. Because of this, knowing the effect that alcohol has of the body of a wine can be a helpful indicator to let you quickly know what category of body the wine you are drinking will fall under. For reference, consider the following descriptions. Light bodied wines are generally the white wines people think of as being crisp and refreshing. These would include Riesling and Italian Prosecco. Medium bodied wines would include Rose, French Burgundy, Pinot Gris and Sauvignon Blanc. Full bodied wines, the ones this article is most concerned with include Zinfandel, Shiraz, Cabernet, Merlot and Malbec. What really determines the alcohol content of a wine, and thus the heaviness of the wine? In many instances, this is determined by the variety of the grape and the climate at which it is grown in. Grapes that contain a higher sugar content when harvested at peak ripeness will tend to produce a fuller bodied wine. Why is that? That is because the sugar in the grape is extremely important in the fermentation process. Climates that are warmer in general often produce grapes with more sugar, and therefore a wine with a higher alcohol content and heavier body. How Does The Winemaking Process Influence The Wine Body? So we now know that a light, watery mouthfeel lends itself to a light-bodied wine, and a thick syrupy mouthfeel is indicative of a full-bodied wine. We also know that the alcohol content of the wine plays a major part in the thickness of the wine. Is there anything else that can contribute to how full-bodied a wine is considered? Well of course there is! Another of the contributors to how full-bodied a wine is can be is due to the other byproducts of the wine making process. In the middle stages of the wine making process, when water and alcohol has been removed, there are often sugars, yeast cells, and other particles left. There are also phenolic compounds, which come naturally from the grapes, skins, seeds and stems. All of these products contribute to the mouthfeel of the wine, as a wine with more of these byproducts will taste thicker, richer, and more full-bodied. Some of these byproducts are called tannins, and these give the wine a structure, creating a thicker sensation in the mouth. Some winemakers will utilize a specific technique to make a wine have a fuller body. Malolactic fermentation will increase the texture of the wine, giving it a sort of creamy texture. Malolactic fermentation is an additional fermentation process that takes place after a wine was originally fermented. The main goal of Malolactic fermentation is to alter the type of acid in a wine. Malic acid is the same acid that is in apples. Oak aging will allow aromatic compounds called vanillin to age with the wine, giving it a buttery texture and flavor. Oak esters and tannin help balance out the harshness of a wine, and they also add body. The newer the oak barrels, the more it will affect the characteristics of the wine being aged. Newer oak barrels are sometimes torched with a fire, which caramelizes the oak, and may even turn some of the oak into charcoal. When this takes place, several chemical changes in the oak take place, and these can add different esters to the wine. The amount of time a wine sits in oak will also affect the resulting flavor of the wine, and if wine ages in oak over a prolonged period, the alcohol level will also increase, leading to a fuller bodied wine. A third process winemakers can and often will use to increase the body of their wine is to leave residual sugar in the wine after fermentation. Much like alcohol, sugar increases the viscosity of a wine, giving it a much fuller mouthfeel. It does not take much sugar to realize this result. It only takes around 3 grams of residual sugar per liter. This is done by stopping the fermentation early by cooling down the yeasts and stopping the process before it can be completed in its entirety. So now, I believe we have a decent understanding of what “full-bodied” means as far as mouthfeel and taste go. We also learned what factors can determine if a wine is considered full-bodied. And lastly, we learned of three different methods that winemakers often use to make their wines more full bodied. 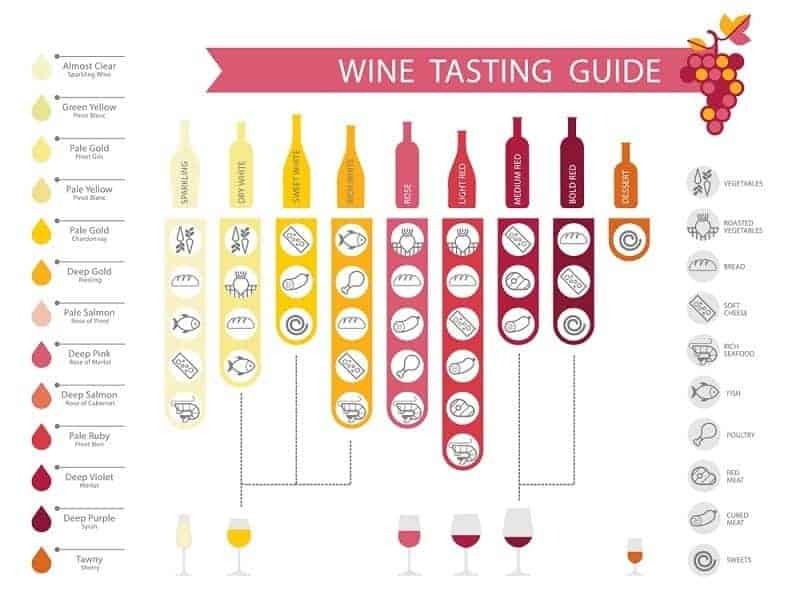 It may be helpful, or at least entertaining to follow this up with learning about what some of the fullest-bodied wines in the world are. Cabernet Sauvignon – a full-bodied red wine that tastes like pepper, cedar, and other fruits. 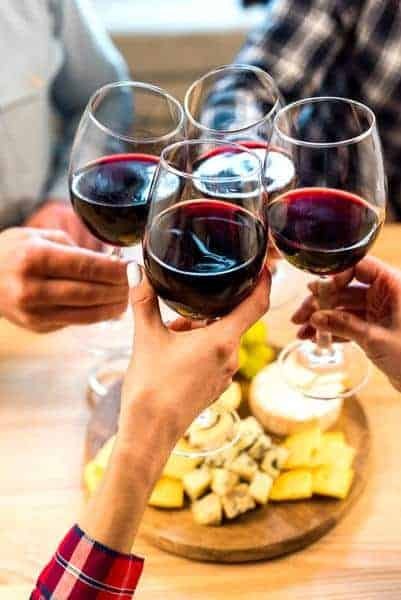 Hopefully this article has educated and informed you on what the meaning of a “Full-Bodied” wine is, how they come to be, and what some of the best ones to enjoy are.